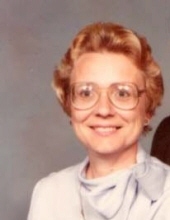 Linda Kathleen Tucker, age 76, of Walkersville, died Thursday, March 28, 2019 at Frederick Memorial Hospital. Born June 4, 1943 in Frederick County, she was the daughter of the late Merton Joshua and Mary Helen Fout Forney. She was the wife of Leslie George Tucker who died in 2017. Linda was born and raised on “Three Brothers Farm” in Unionville. She was a 1961 graduate of Frederick High School. She was employed as a tour guide by the City of Frederick at Rose Hill Manor. She was a member of the Red Hats and enjoyed yard sales, playing the piano, her cats and ducks, especially “Happy”. Surviving are daughter, Daphne Rebecca Tucker of Walkersville; 3 grandchildren, Andrew Lee Hoffman, Denton Eugene Hoffman and fiancée Megan and Riley Wayne Hoffman and 3 great grandchildren, Paul Robert Hoffman, Colten Smith and Weston Parker Hoffman. There will be no visitation or funeral. In lieu of flowers memorial contributions may be made to Linganore United Methodist Church, 8919 Unionville Rd., Union Bridge, MD 21791. To send flowers or a remembrance gift to the family of Linda Kathleen Tucker, please visit our Tribute Store. "Email Address" would like to share the life celebration of Linda Kathleen Tucker. Click on the "link" to go to share a favorite memory or leave a condolence message for the family.